Tell us about your role and how you got here. What inspired you to be a part of a mobile marketing company? As a Co-Founder and CMO, my role is constantly changing. Initially, I was wearing many different hats but am now able to focus on the company’s marketing mix, specifically product development and promotion. The journey to get here began after film school while working in television production at the NBC O&O in San Diego where I continued to work full time while finishing my MBA and transitioned from TV news production into Sales & Marketing at the station. The relationships I made and the Media Sales experience I gained ultimately led to the evolution from broadcast television to the fast-paced mobile industry. With ad-viewability metrics catching up, how does SABIO satisfy the customers in delivering ROI? The importance of viewability led our product innovation and strategy teams to develop Validated Publishers™, an additional publisher vetting process that requires a high viewability threshold. The high viewability standard we’ve set for ourselves has improved the delivery of increased ROI for our customers. How do mobile marketers decide on their optimization and personalization standards for mobile marketing? It’s all KPI driven. Depending on the campaign’s KPI goals, personalization should be embedded into everything you do from both a creative perspective and also the targeting and delivery of the ad, given mobile’s unique personalization capabilities. For example, if the campaign is a brand awareness campaign with a click-through rate as the KPI, personalizing the creative to dynamically change with a variety of elements such as local weather, time, or the consumer’s location personalizes the message and improves the CTR. How do data privacy regulations and brand safety standards impact mobile marketing campaigns? Strict privacy and brand safety standards have a tremendously positive impact on mobile marketing campaigns both individually and at a macro level as well. These standards, such as the TAG certification, help weed out the bad players in our industry and help companies who are proactively developing brand safety and ad fraud protections such as our Validated Publishers™ to differentiate themselves, deliver better performance, and help restore a level of trust necessary for marketers and martech companies to form lasting partnerships and change. 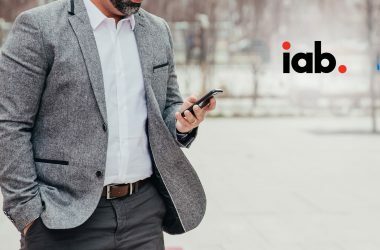 How do you see mobile marketing landscape evolving with the maturity of behavioral targeting and location data platforms? With the unprecedented and tremendous data processing capabilities that AI is providing, we are able to combine enormous amounts of data, including but not limited to behavioral and location data to improve the targeting and delivery of mobile marketing campaigns. 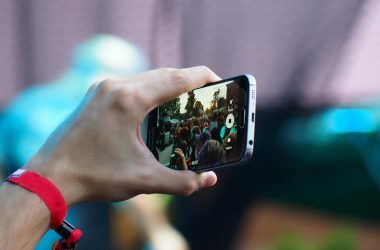 As these capabilities continue to evolve and the data sets available continue to be added, such as voice and facial recognition, driverless networks and their media, along with the growing number of ubiquitous connected devices, I foresee them all working together seamlessly through the app ecosystem on our mobile devices so that our need and want sets are satisfied nearly automatically and without us having to ask. Companies that identify these opportunities now and in the future will be able to use mobile marketing data to not only deliver targeted messages but also the actual delivery of goods and services more efficiently. What startups in the martech/ ad tech industry are you watching/keen on right now? I don’t want to mention any specifically for various reasons but generally, companies that are focusing on voice recognition data. While we use SEO/SEM and a few other tools including content marketing, we also use our own technology to reach our customers with our own ads. With the use of our own Predictive AI platform that combines app profile segments with locations of our targeted customers, we’re able to deliver our own ads at a reduced cost and higher ROI. Would you tell us about your standout digital campaign at SABIO? We ran an amazing campaign in partnership with Digitas and The Trade Desk for Lyft’s Round Up & Donate Campaign which allows Lyft’s customers to round up their fare to the nearest dollar and donate that amount to a charity the customer preselects. This was an exceptional campaign, not only because of the professionals we have the privilege of working with at DigitasLBi and The Trade Desk, but most importantly, it highlighted the great work Lyft is doing to raise millions of dollars for great causes such as Habitat for Humanity, and St. Jude Children’s Research Hospital. We used our App Science® technology to identify Lyft’s customers and their competitors by targeting people who have rideshare apps such as Lyft and also charity apps like Share The Meal and Snap Donate. The video campaign performed well above industry Video Completion Rate benchmarks but the reason it stands out here at SABIO Mobile is that it allowed us to use our technology and hard work to help the client do more than simply sell more widgets. It’s a brand awareness/cause marketing campaign I’m really proud of. How do you prepare for an AI-centric world as a marketing leader? 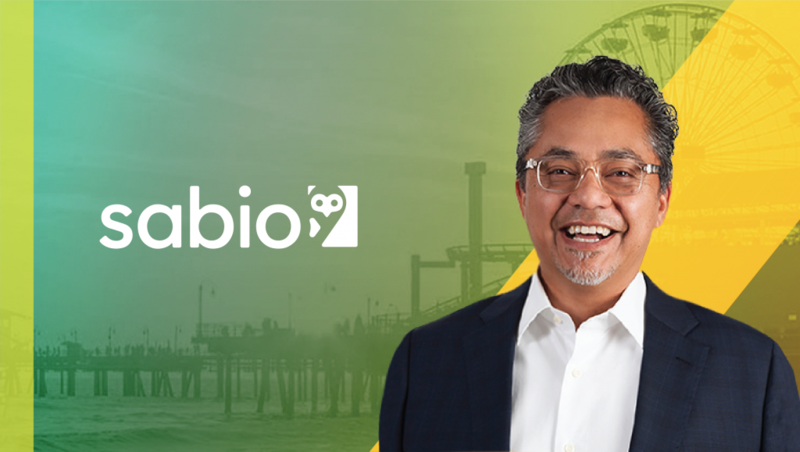 How do you leverage AI capabilities at SABIO? We’ve prepared for the future by building our own AI platform and placing it at the center of everything we do. We call it App Science® and we believe that “You are what you App.” App usage data, including the apps a person has on their mobile device combined with the locations they’ve recently visited, tells us a lot about that person’s lifestyle, media preferences, demographics and cultural identity. It allows our clients to know their customers in a better and more granular way. With over 250MM mobile devices’ app usage data in our platform, we’re able to identify correlations between certain audience segments that help find not only a client’s current customers but also the most likely future customers as well. How do you bring people and technology together at one place? Our company continues to expand and in fact, we recently opened our App Science® Lab in Hyderabad, India. Communicating across the country and with our team in Hyderabad requires scheduling meetings with multiple time zones via video conferencing and services such as Slack and cloud computing to share files, ideas, and work literally around the clock. I live in LA and I don’t leave home or go anywhere without using the Waze app. It recognizes my schedule, recommends I stick to my favorite route or has me take one of the canyon roads when PCH is all backed up. I wouldn’t say it’s the smartest, but it’s definitely a habit that I find useful. I text myself action items that I need to put at the top of the list. This reminder is with me everywhere I go, staring me in the face until it gets completed, deleted, and repeated. I’m constantly reading articles and updates from the network of influencers, colleagues, and contributors I’m connected to. However, I’m currently reading a book about the life of Ronald Reagan. When Character Was King by Peggy Noonan was a gift that reminded me of the earlier times of my life when I was in the United States Marine Corps and my Commander In Chief was a man of great character and integrity. The best advice I’ve ever received came from my pastor when I was a teenager. He quoted a scripture that said, “Wait on the Lord, be of good courage, and he will strengthen your heart.” It reminds me to be patient and continue having courage even through difficult times. Things usually work out in the long run but during those tough periods, it takes great courage to keep your chin up, smile in the face of adversity and persevere through life’s valleys; believing the sun will shine again. Thank you Joe! That was fun and hope to see you back on MarTech Series soon. 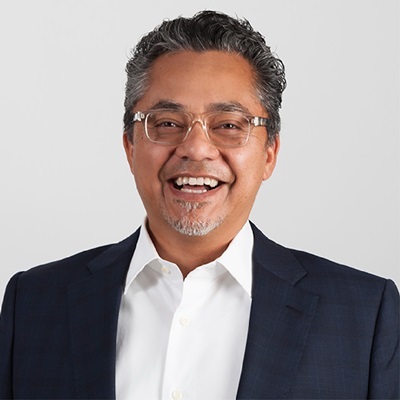 Joe Camacho is Sabio Mobile’s CMO. His responsibilities include the company’s marketing efforts that include the continued expansion into new markets and verticals. He has previously served as CMO of the Latin American Multimedia Corp, where he was responsible for the marketing and distribution of the company’s Spanish language television properties. Joe has also served in the Marine Corp.
Sabio is smarter mobile advertising. We offer brands and agencies cutting-edge technology, killer customer service, a full creative suite, and an agile approach to mobile ads. Sabio’s App Science™ capability infuses deep learnings from a consumer’s app-ecosystem and their geo-behaviors to help brands reach and understand their target consumers more efficiently on mobile.